By July 1925, Rotary had grown to more than 2,000 clubs and an estimated 108,000 members on six continents. Rotary’s reputation attracted presidents, prime ministers, and a host of other luminaries to its ranks — among them author Thomas Mann, diplomat Carlos P. Romulo, and composer Jean Sibelius. As Rotary grew, members pooled their resources and used their talents to serve their communities. The organisation's dedication to this ideal is best expressed in its motto: Service Above Self. Rotarians have not only been present for major events in history—we’ve been a part of them. From the beginning, three key traits have remained strong throughout Rotary: We’re truly international. Only 16 years after being founded, Rotary had clubs on six continents. Today we’re working together from around the globe both digitally and in-person to solve some of our world’s most challenging problems. Like many organisations in the early 20th century, Rotary initially restricted its membership to men. Although there was a strong and growing movement from clubs in all parts of the world to change Rotary's all-male position, the organisation fiercely resisted the admission of women. This came to a head in 1987 when the first three women were inducted into the Rotary Club of Duarte (California). Rotary's international Board of Directors officially acted to revoke the club's charter. The Duarte club then sued Rotary claiming discrimination based on gender. Rotary resisted every judicial appeal, until the case landed in the US Supreme Court. In 1987, the US Supreme Court, in a unanimous decision, ruled against Rotary. The Supreme Court ruling was a "wake-up" call for Rotary, but it had an immediate positive impact, not only on Rotary, but on other service clubs and organisations throughout the USA. The Rotary Board of Directors amended the constitution and by-laws to admit women, and opened the door to women in Rotary worldwide. This landmark Supreme Court ruling continues to play a major role in protecting and advancing the rights of women at many levels - far beyond what the three first women Rotarians in Duarte could have envisioned. 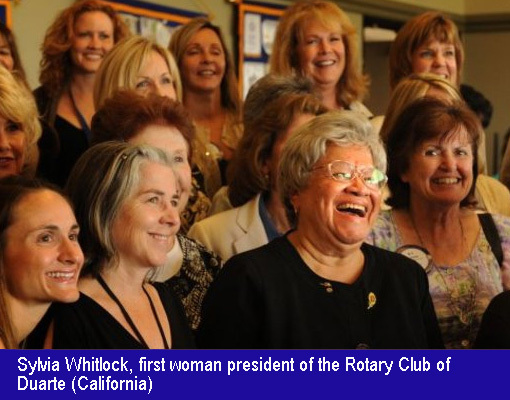 Today women are a driving force in Rotary. In most clubs women make up a significant part, and in some cases a majority, of the membership. Women serve as club presidents, district leaders, district governors, and on the Rotary International Board of Directors. As an organisation, Rotary champions the ongoing struggle for gender equality at the club and international level. Want to see more of the story? Watch this video. Born in Racine, Wisconsin, USA on April 19, Paul P Harris spent his early years in Wallingford, Vermont. 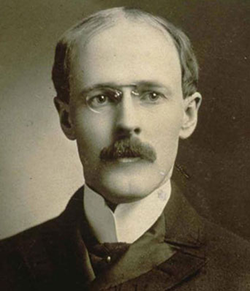 He went on to study Law at the University of Iowa, and following his graduation in 1891, spent the next five years seeing the world. He then went to Chicago to practice law. Today Rotary is well known throughout the world for its dedication to service and international goodwill. This was hardly uppermost in the mind of Paul Harris when he founded the organisation in Chicago in 1905. He envisioned a new kind of club for professionals that could recapture some of the friendly spirit among businessmen that had existed in smaller communities. 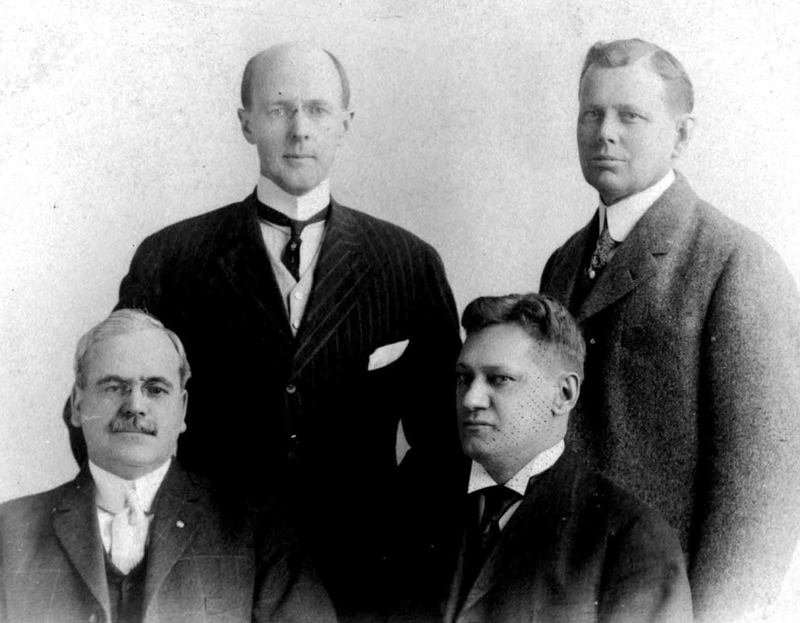 On Feb 23 1905, The young Chicago attorney (age 37) invited three friends to a meeting where they discussed Harris’ idea that business leaders should meet periodically to enjoy fellowship and to enlarge their circle of business and professional acquaintances. Among them was a coal merchant, a mining engineer, a merchant tailor and Harris, a lawyer. The club met weekly and membership was limited to one representative from each business and profession. 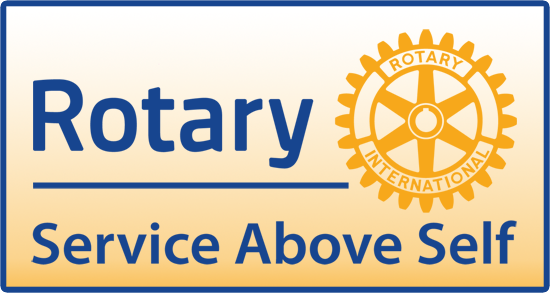 Though the term Rotary was not used that night, it is commonly regarded as the first Rotary meeting. Paul Harris named the club ’Rotary’ because members met in rotation at various places of business. The name met with general approval and club membership grew rapidly. When Paul Harris became Club President in its third year, he was anxious to extend Rotary to other cities because he was convinced that the Rotary Club could be developed into an important service movement.